The African Sahara is about 7000 km from Bahamas this red iron concentration in the stalagmites, are Nibiru remnants of dust? [and from another] http://www.livescience.com/30896-stalagmites-climate-clues-blue-holes.html Deep divers in the Bahamas are retrieving stalagmites from underwater caves to learn about the impact that ancient dust storms had on the planet's climate. Stalagmites are a type of cave formation created as water drips down from a cave's ceiling and onto its floor where it deposits minerals, particularly calcium carbonate, in cone-shaped spikes. Stalagmites are the formations that point up. The stalagmite samples from the Great Blue Hole showed three periods of rapid shifts from a wet to dry climate in the ancient Bahamas. These periods correlate with so-called Heinrich events in the North Atlantic, which are a well-studied phenomenon where very cold periods are followed by a rapid shift to a warmer climate. The three rapid shifts were found during the period from 13,500 to 31,500 years ago. 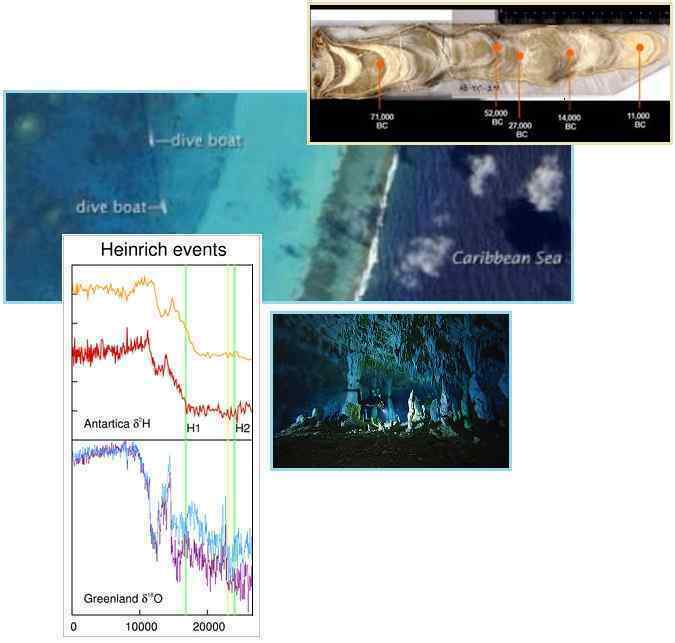 The stalagmite data suggest that Heinrich events in the Bahamas are periods of extreme aridity followed by a much wetter climate. Curiously, the team also found high levels of iron in the stalagmites during the Heinrich events. Iron shouldn't be there since there are no known nearby sources. [and from another] http://www6.miami.edu/miami-magazine/fall2011/featurestory3.html From deep within the caves, the researchers also gathered dozens of stalagmites. These calcium carbonate formations built up during the ice ages, when sea levels dropped and the sinkholes were dry. The stalagmites are solid, with layers that are basically like tree rings related to age, so you can date them. Red iron deposits in the stalagmites are remnants of dust that blew across the Atlantic from the African Sahara thousands of years ago. [and from another] http://emsnews.wordpress.com/2010/02/13/the-universal-hologram-human-brains-are-very-odd-places/ Here is a stalagmite that was cut in half: It has rings like a tree. The dark lines are iron which comes from dust blown from Africa. The densest rings of black iron in this deposit are actually greatest pre-54,000 years ago. There were very, very few humans back then. But they had something very big: fire. The use of fire to hunt game was the big thing. We basically set Africa on fire. The fires had the greatest effect not since 12,000 years ago but before this. [and from another] http://en.wikipedia.org/wiki/Heinrich_event The events are rapid: they last around 750 years, and their abrupt onset may occur in mere years. Heinrich events are often marked by the following changes: Pollen indications of cold-loving pines replacing oaks on the North American mainland; decreased oceanic salinity, due to the influx of fresh water; increased grain size in wind-blown loess in China, suggesting stronger winds. The mathematics of the system are consistent with a 7,000-year periodicity. Once again human scientists refuse to see the elephant in the room. The periodic nature of the Earth changes is staring them in the face, yet they refuse to look or comprehend. It is deliberate amnesia, because the thought is so very scary. Of course the Heinrich events happened approximately every 7,000 years, as the periodic return of Nibiru, aka Planet X, occurred every 3,600 years. Do the math! Does this not equate to 7,200 years, a multiple of 3,600? The stalagmite red lines are identified at 11,000 and 14,000 and 21,000 years – rounded as this is not a precise business. Does this not equate to 10,800 and 14,400 and 21,600 years, a multiple of 3,600 years? The theory that red dust, laden with iron oxide, is blown west from the Sahara is postulated even today to explain red dust in Europe and the US. Absurd, beyond absurd, but any theory is better than facing the idea that the crust shifts every 3,600 years as the giant magnet that is Nibiru, aka Planet X, passes by. Of course ice at whatever was the N Pole at the time melted, increasing the fresh water in the Atlantic. Of course plant lift in now warmer climates changed from cold loving to heat loving plants, or vice versa. And of course newly deposited red dust was solidified in stalagmites carrying the dust in the drip. I saw this photo posted as a top space photo of the week, and even though I know little of astronomy it seems to me that this time-delay photo of the night sky in India may indicate different orientations of the Earth's rotation throughout the night. The pattern I am used to seeing in similar time-delay compositions is an even circular pattern around a center point, whereas this one seems to have two focal points (like a figure 8 might have!?) If my ignorance of astronomy renders this observation invalid, please disregard my implied question. On the other hand, I thought it could be amazingly clear visual evidence of the wobbling planet. (4th photo in the series) http://www.space.com/21397-best-space-photos-of-the-week-june-1-2013.html [and from another] http://www.space.com/21331-spellbinding-star-trails-india-photo.html Star trails shine above Devasthal Peak in Northern India in this captivating night sky photo. This image captures star trails over the newly-constructed Devasthal Optical Telescope. Located high atop the Devasthal peak in Uttarakhand, India. 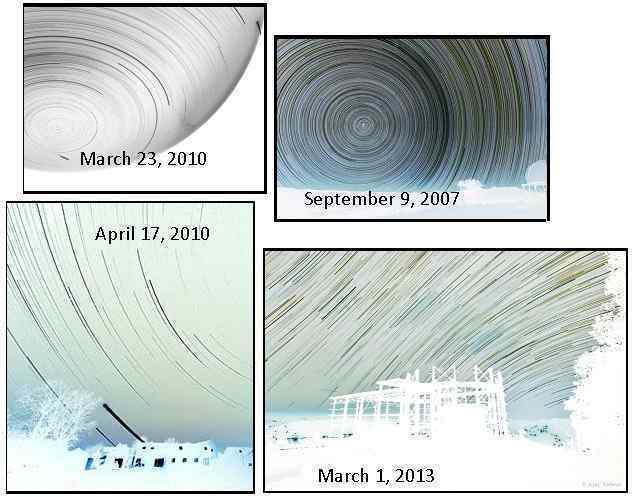 March 23, 2010 and April 17, 2010 this skew had gotten wider, making an oval rather than a circle around Polaris. Are the cameras on a drunken pedestal? The establishment falls silent in the face of such evidence, hoping the public does not notice. Now on March 1, 2013 there is a new development. The center of the focus is in two places, not just one! As Nancy pointed out in a recent newsletter, due to Planet X more to the right of the Earth lately, the Figure 8 has the presumed Polaris low on the horizon and to the right in India when the Sun is high overhead in America, and then switching quickly where the presumed Polaris is high in the dome and more to the left in India when the Sun is moving to be over New Zealand. This long-exposure photo show this motion, without question. It is not that the camera platform moves. It is not that Polaris moves. It is that the Earth itself moves to point its N Pole toward a different place! It is difficult in the middle of the night to determine this, as the usual proof is to measure the Azimuth of the sunrise or sunset. But here, we have a midnight capture! It's that time of year again - Bilderberg meeting. Would the Zetas care to comment on what will be discussed, in particular in regards to Planet X, the cover up and the elites resigning left and right? [and from another] http://www.guardian.co.uk/world/2013/jun/02/week-ahead-bilderberg-2013-watford A heady mix of politicians, bank bosses, billionaires, chief executives and European royalty will swoop up the elegant drive of the Grove hotel, north of Watford, to begin the annual Bilderberg conference. The conference is the highlight of every plutocrat's year and has been since 1954. The only time Bilderberg skipped a year was 1976, after the group's founding chairman, Prince Bernhard of the Netherlands, was caught taking bribes from Lockheed Martin. Senior politicians will be holed up for three days in luxurious privacy with the chairmen and CEOs of hedge funds, tech corporations and vast multinational holding companies, with zero press oversight. [and from another] http://www.ibtimes.co.uk/articles/474529/20130604/bilderberg-2013-conspiracy-watford-lizard.htm It is dominated by middle-aged and elderly white men, with Christine Lagarde, managing director of the IMF, leading the tiny coterie of women that can now pass muster among the financial and political elite. Tidjane Thiam, CEO of insurance giant Prudential, will probably be the only black face there. Meanwhile, the sense that it is stuck in the rut of its Cold War origins (founded in 1954 to foster dialogue between Europe and North America) is revealed by the fact that it is yet to recognize that the Iron Curtain crumbled over 20 years ago. Despite having been initiated by, among others, Polish politician-in-exile Józef Retinger, there is not a single invitee from east of the Elbe, let alone Russia. Here is the official list of attendees and the agenda for the Bilderberg Group meeting at The Grove in Watford, 6-9 June. We have described the Bilderberg Group as formed originally in 1954, following Roswell, to discuss the alien presence and what the impact on the world would be should the public be informed. And where the agenda is always full, fretting over how the wealthy and politically powerful in the West can maintain control of the world, discussing the impact on the world should the public be informed about the pending passage of Planet X, aka Nibiru, has come to replace the alien presence as the dominant topic of discussion. This year, in 2013, both cover-ups are threatening to break, almost simultaneously. It is no longer ‘what if’ but ‘now what’ that will be discussed. The list of worries for the wealthy and powerful is endless. As the economic slowdown grinds on, a virtual global depression, will this mean bank failures? For the wealthy, it is likely to mean a change in ownership. As the poor are unable to pay their bills, banks will sell the assets to the wealthy at a bargain price. Corporate shares, foreclosed housing, and farm lands will go cheap, but what will this ultimately mean? Paper ownership will mean nothing in the Aftertime, when squatter’s rights and the ability of hard working survival camps to feed themselves will prevail. There will be no courts or military or police to enforce paper rights, and thus the wealthy are fooling themselves in their expectations. We predicted that the public would react to an admission that Nibiru, aka Planet X, was real and nearby, soon to pass, would result in shock amid the public. They would go to work, pay their bills, and take some time to react. The announcement is expected to mention that Nibiru is not newly arrived, but has been near the Sun for years, in order to prevent instant panic. But the Bilderberg Group imagines the worst. They fear riots in every city, opportunistic looting, and services maintaining power and water collapsing. Will martial law be imposed? How long will it take to re-establish order? In all of their discussions, helping the common man though these times is seldom on the agenda, and then only as a bargaining chip. Regardless of whom they represent, each attendee is sorting out their personal situation. Will their country be flooded, and if so will they be guaranteed a safe haven in another? Migration is expected to be tightly controlled, so personal favors and assurances are being sought. Migration patterns are another concern. Determining where the starving and drowning masses might be flowing will allow enclaves of the rich and powerful to be situated away from potential loss of control. 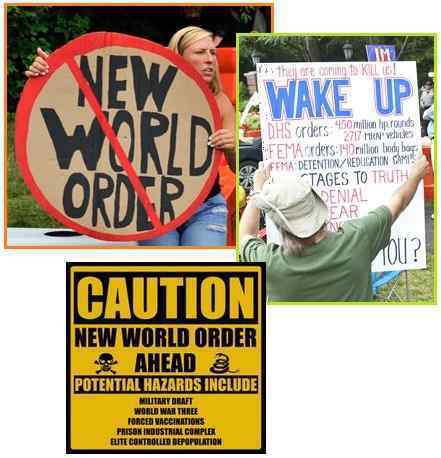 Are the members of the Bilderberg Group planning any steps to assist the public? This comes up for discussion in the context of placating the public. Hazard pay, employment benefits, so the public will stay in dangerous places for a bit of extra cash. Such is the orientation of the Bilderberg Group. I was wondering if the Zetas would care to comment on this latest satellite launch by NASA, IRIS. Is there more to this launch than just studying the sun's corona? [and from another] http://science.nbcnews.com/_news/2013/06/04/18759499-nasa-gets-ready-for-launch-of-iris-probe-to-study-suns-interface-region?lite The satellite will circle Earth in a sun-synchronous polar orbit, which means it will fly along the planet's dawn/dusk line, looking toward the sun. Each orbit will take 97 minutes to complete, which will allow IRIS to circle the planet about 14 or 15 times each day, from an altitude of about 373 miles (600 kilometers). This path, which is designed to take the spacecraft over the equator at the same local time every day, allows for nearly continuous looks at the sun. The $181 million mission is designed to operate for about two years. [and from another] http://en.wikipedia.org/wiki/Polar_orbit A polar orbit is an orbit in which a satellite passes above or nearly above both poles of the body being orbited. 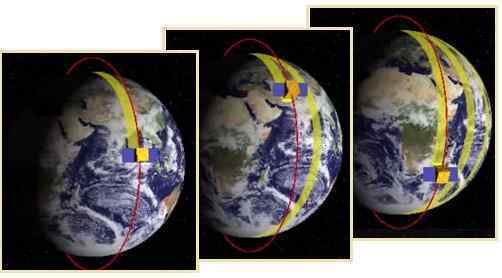 It is common for near-polar orbiting satellites to choose a sun-synchronous orbit: meaning that each successive orbital pass occurs at the same local time of day. What is NASA trying to learn with this new satellite, which will be positioned exactly over the Equator at the same time each day? This is exactly what a scientist would need in order to ascertain a change in the Earth wobble! The satellite hugs the Earth, hugs the Equator in fact, so the angle of view toward the Sun should change only for the slow passing of the seasons. But during the daily Earth wobble, the angle of view toward the Sun changes as the N Pole is first pushed away from Planet X, then later compensates by bouncing back. The daily Figure 8 pattern also has the Earth first leaning to the right, then the left, a pattern that is overlaid over the polar push pattern. Since the wobble is palpable, measurable from the surface of the Earth by those measuring the Azimuth and timing of their sunrise and sunset, why does NASA need a satellite to give them details about the Earth wobble? More than the severity of the wobble can be ascertained, though the satellite will give this in exacting detail, showing and documenting trends. The magnetic blast coming toward Earth from the N Pole of Planet X will be measured, giving an early alert on the trend of steady increase expected to eventually devastate mankind’s electronics and satellites. After the announcement, NASA may admit the true use of this satellite, but we doubt it. Would the Zeta’s care to comment on if this is priming the population prior to the disclosure by Obama, or is it merely a timely coincidence? Either way there are some pretty powerful and disturbing allegations made during this video. [and from another] http://www.youtube.com/watch?&v=XEQdvYFMBAU#! Hon. Paul Hellyer – Canadian Minister of National Defense testifies knowing of 4 Alien races actively visiting Earth. This is a must watch video in which he states that they have concluded that at least four species have been visiting earth for thousands of years. There are live ET’s on earth at this present time and at least two of them are working with the United States Government. He mentions the UFO presence is being kept secret by vested interests which he refers to as a Cabal comprising of members of the Three Sisters including the Council on Foreign Relations, the Bilderberg Group, the Tri-Lateral Commission, the International Banking Cartel, Big Oil, Various Intelligence Organizations, and select members of the military, who together have become a Shadow Government of not only the United States but of much of the western world. Quote “The aim of the game is a world government comprising members of the Cabal who are elected by no-one and accountable to no-one, and according to Mr Rockefeller the plan is well advanced”. [and from another] http://ddsdtv.blogspot.com Published on Jun 1, 2013. Former Special Assistant to the Executive Director of the CIA Victor Marchetti: The US government, in collusion with the other national powers of the Earth, is determined to keep this information from the general public. Deputy Chief of the Royal Belgian Air Force Major-General Wilfred de Brouwer: Until now, not a single trace of aggressiveness has been signaled; military or civilian air traffic has not been perturbed nor threatened. We can therefore advance that the presumed activities do not constitute a direct menace. Japan's Defense Minister, Shigeru Ishiba: There are no grounds for us to deny there are unidentified flying objects and some lifeform that controls them. Sworn Affidavit by Lieutenant Walter Haut concerning his experience of the 1947 UFO crash AT Roswell, NM: Haut describes seeing the UFO and the occupants consisting of alien bodies as well as a high-level meeting with Col. William Blanchard and General Roger Ramey, Commander of the Eighth Army Air Force. Astronaut Scott Carpenter: There was a constant surveillance by UFOs. Colonel Joseph J. Bryan III, founding member of the CIA's psychological warfare staff, advisor to NATO: These UFOs are interplanetary devices systematically observing the Earth, either manned or under remote control, or both. Information on UFOs, including sighting reports, has been and is still being officially withheld. President Jimmy Carter - Interview following his sighting of a UFO at Leary, Georgia - October 1969: It was big, it was very bright, it changed colors, and it was about the size of the moon. What is amazing is not the information being relayed by this Canadian Defense Minister but that he has not been killed. He is specific in his descriptions not of alien races but of MJ12, its composition, its membership, and the agenda of some of its more powerful members. We explained that the MJ12 organization engaged with aliens, under contractual obligations with aliens, died in 2000 when Bush and Cheney stole the White House by election fraud. Where this removed the arrangement with ourselves for travel and cloaking by space ship, and removed the official human oversight by the Governing Boards, many of the members refused to recognize the suicide of MJ12 and continued their associations. The original goals of MJ12 did not include a New World Order or world government. There were of course many agendas, each individual holding his own agenda. Military members wished to gain control of alien technology and others wished to learn the date of the pending passage of Planet X while keeping the public ignorant. Due to the publicity the courageous Paul Hellyer’s testimony has received, others will be emboldened to question the actions and influence of members of the Bilderberg Group, the Council on Foreign Relations, and the Tri-Lateral Commission. The influence of big oil companies and military industrial complex interests will likewise be increasingly scrutinized. All to the good.